NXT Tag Team Championship: SAnitY VS The Undisputed Era; The Undisputed Era wins and are the new NXT Tag Team Champions. 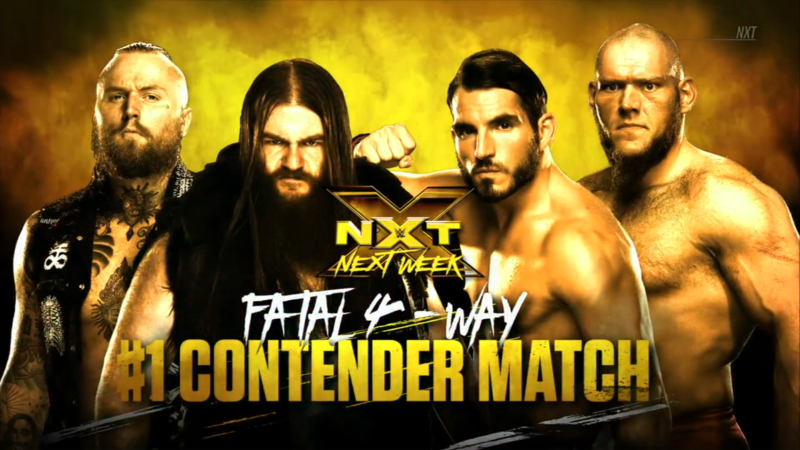 NXT Championship #1 Contender Series: Roderick Strong VS Lars Sullivan; Sullivan wins and qualifies for the #1 Contender Fatal 4 Way. 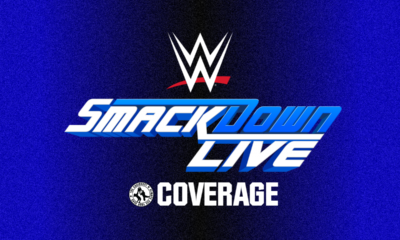 WWE UK Championship: Pete Dunne VS Tyler Bate; Dunne wins and retains the WWE UK Championship. NXT Tag Team Championship: SAnitY VS The Undisputed Era! 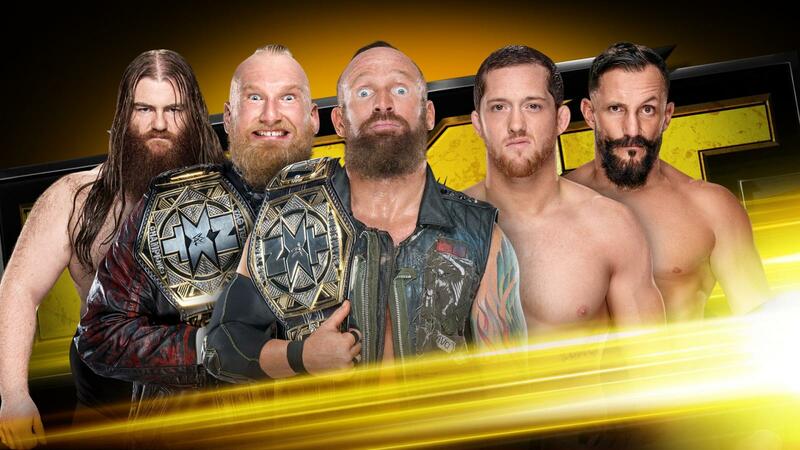 The duo known as reDRagon has held tag team titles before, but now they want their first taste of NXT gold. Can they take the titles away from the chaotic crew led by the erratic Eric Young? The Beast of Belfast and the Infamous Bobby Fish start, Fish throws kicks but “Big Damo” scares him back to the ropes. Fish tags Kyle O’Reilly in, Kyle dances around and kicks, then backs off to ropes. Damo gets frustrated while Kyle tags Fish back in. Fish dodges then throws hands but Damo stays solid. Fish tries again, Damo puts him in a corner, Fish slips out into a sleeper hold! Damo seems unaffected, Kyle runs in and bounces off Damo’s shoulder. Damo throws Fish off then runs him over with a lariat. Fish escapes the ring, regroups with Kyle, but Eric wants to get at reDRagon on the outside. The referee counts, reDRagon gets back up and Fish tags Kyle in. Kyle circles around Damo to swing at Eric, big mistake as Damo crushes him in SAnitY’s corner. Tag to Eric, they give Kyle a gutbuster ax handle drop! Eric covers, TWO, he keeps on Kyle but Kyle rolls and applies a leg lock! Kyle wrenches Eric’s knee and ankle but Eric fights out with his free leg. Eric blocks a kick and clobbers Kyle with a haymaker. He whips Kyle to the ropes but Kyle bails out of the ring, so Eric pursues. Fish is waiting but Eric dodges and clobbers him before putting Kyle back in the ring. Kyle keeps running, Eric runs him over, then throws wild hands in the corner. Corner to corner whip reversed, Eric tumbles to the apron to then shoulder and clobber Kyle. While the referee checks on Kyle, Fish trips Eric on the apron with a sweep to the legs! Eric goes down and clutches his arm, we go to break. 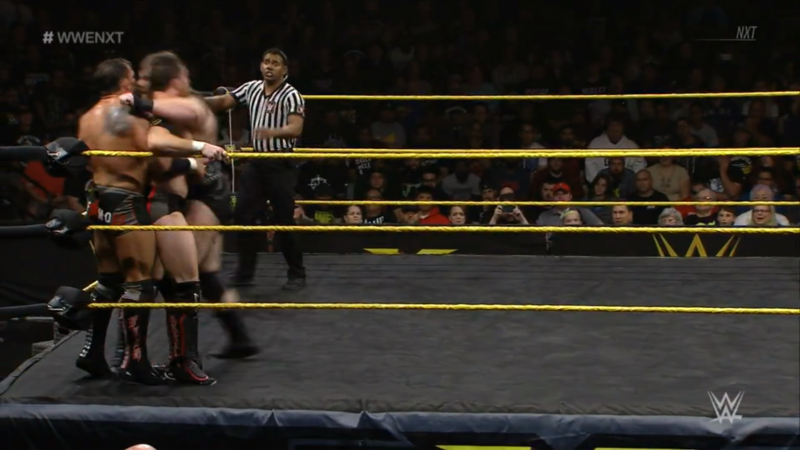 NXT returns as reDRagon mugs Eric in their corner. Fish tags back in, kicks away on Eric’s leg then brings him up for a snap suplex. Cover, TWO, Fish gets frustrated. He brings Eric up, tags Kyle, Fish gives knee strikes and a shove kick which feeds Eric into Kyle’s sweep and leg lock. Kyle tags Fish again, slingshot senton! TWO, but Eric is still isolated in the Undisputed corner. Tag to Kyle, reDRagon mugs Eric more, double snap suplex. TWO, but Kyle keeps focus while fans rally. Eric feeds off the energy and brawls with Kyle as Kyle maintains the wristlock. Haymakers back and forth, Kyle hammerlocks then sweeps the legs! TWO, Kyle goes after the arm with a keylock. Fans rally again, Fish shouts for Kyle to break off Eric’s arm. Eric hears the “SANITY!” chants and powers up to fight back. Kyle throws in a knee, then hoists Eric to the top rope. Eric knocks him down, jumps, but into a knee! Eric returns with a swinging neckbreaker! Both men are down, fans rally again. Kyle stirs and heads for Fish, Eric is dazed but finds his way. Hot tag to Fish, Fish goes after Damo, but that cheap shot does nothing. Well, it angers Damo. The referee keeps Damo back, this allows reDRagon to stomp Eric out. Kyle returns to his corner while Fish rains down rights. The referee finally backs Fish, Fish brings Eric over and tags Kyle. Together, reDRagon puts Eric into a corner then whip him corner to corner. Fish whips Kyle over but Eric sends him flying out, boots Fish back and heads for Damo. Fish runs at Eric but gets dumped out now, fans rally for Eric. Eric turns himself towards Damo, Kyle grabs his feet! Eric shoves Kyle away, tag to Damo! Damo rallies on Kyle, then throws Fish in, and runs reDRagon over together! Kyle and Fish end up in opposite corners, Damo goes corner to corner to squash them against the buckles. Damo whips Kyle corner to corner, and makes a reDRagon sandwich! Kyle flops down, Fish staggers out, Damo hits the DropSenton! Damo fires up with the fans, he grabs Fish as he stands over Kyle, Michinoku Driver onto Kyle! Damo covers Kyle, Fish breaks it up. Eric returns and stomps Fish before throwing him out. Tag to Eric, Damo brings Kyle up and helps Eric lift Kyle in the powerbomb position. Fish baits Damo into running over so he can dump him out, but Kyle still takes a powerbomb. Eric climbs while fans rally, but then Adam Cole appears and trips him up! Cole grins while Eric staggers up, into Kyle’s Ax ‘n’ Smash! TWO! Cole is pissed, but then Nikki Cross appears and jumps on him from the apron! The Psycho Scottish Lass unleashes on Cole’s face with hammering rights, referees have to pull her off him. The referee in the ring checks on Kyle and Eric while this is happening, fans chant “Let them fight!” while Kyle brings Eric back up. Eric revives to rock Kyle with a haymaker, then a haymaker for Fish. Jumping neckbreaker on Kyle! TWO, Eric is shocked. Cole gets in the ring, Damo drags him back out and scoops him up onto his shoulder. Damo aims for a post but Cole slips out to shove Damo into said post! Eric DIVES on Cole! Eric fires up again as he returns to the ring, only to get caught in the reDRagon high-low! Kyle covers, reDRagon wins!! The Undisputed Era are the new NXT Tag Team Champions!! SAnitY is furious, but they still lost. With the tag titles now in their possession, will the Undisputed Era continue to #ShocktheSystem? 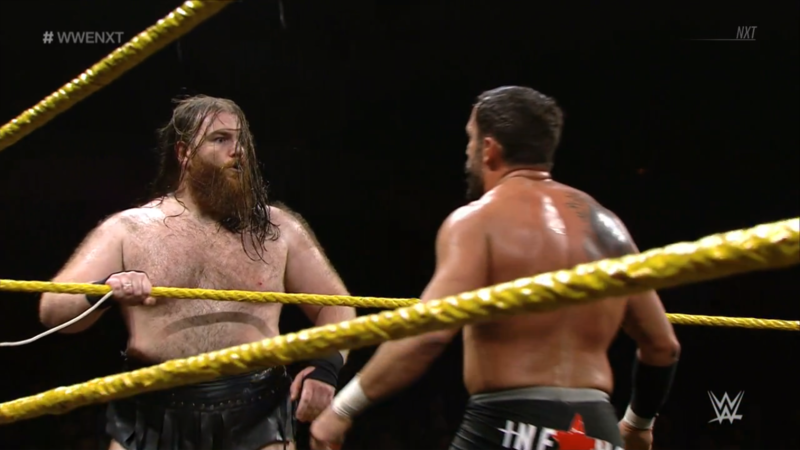 NXT takes a look at Roderick Strong’s journey towards the championship. “I’m where no one thought I would be.” Pro-wrestling saved his life, it is all he’s ever wanted. “My life has never been better”, but there is still something remaining that would make his life perfect. Strong vows that no matter what, he will become NXT Champion. Can Strong take the next step towards that title tonight? The Queen of Spades, Shayna Bazler, is coming. She impressed in the world of Mixed Martial Arts, in the world of independent wrestling, and in the inaugural Mae Young Classic. Shayna Baszler joins the NXT Women’s Division, who will be her first victim? Heavy Machinery is pumped up about pumping iron. However, there are no parking spots at the Performance Center. Someone’s Corvette is parked in multiple spots. No, Otis, that’s a Maserati. Either way, it’s in the way. Otis decides to move it with raw strength. However, the owner(s) of the Maserati appear(s). 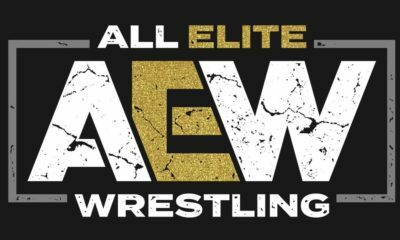 Tino Sabbatelli & Riddick Moss tell Heavy Machinery to back away from their “six figure baby”. Moss also asks they don’t take pictures. In return, Moss & Sabbatelli encourage Heavy Machinery. If they were really hard, maybe Tucker & Otis can afford something this good. Well, half as good. What’s their saying again? Porks & Weights? No, it’s Steak & Weights! Is that so, pal? Yes it is, guy. Enough jaw-jacking! Otis wants to settle this right here, right now! Moss & Sabbatelli decline and take their leave, when will the Blue Chip Boys put their money where their mouths are against this pair of bulldozers? NXT Paparazzi caught up with now Raw superstar, Sonya Deville, in the Performance Center. Absolution has made their presence known on the main roster’s Red Brand. Sonya says she’s not done with NXT just yet, she vows to defeat new NXT Women’s Champion, Ember Moon. No one realizes this, but Ember hasn’t pinned Sonya. Ember pinned Ruby Riott back in that Triple Threat qualifier, not Sonya. In fact, Ember stole Sonya’s victory in that Triple Threat. Sonya vows to settle their unfinished business. 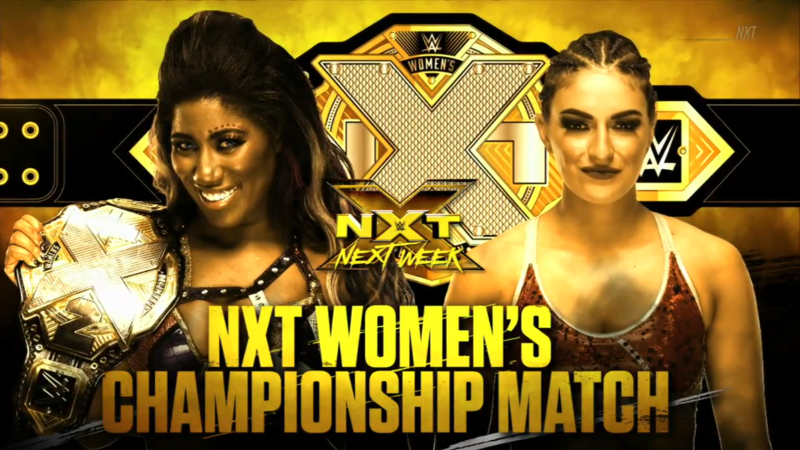 In fact, NXT General Manager William Regal makes their match for the NXT Women’s Championship! Will Sonya’s Full Sail be postponed in exchange for a title reign?! 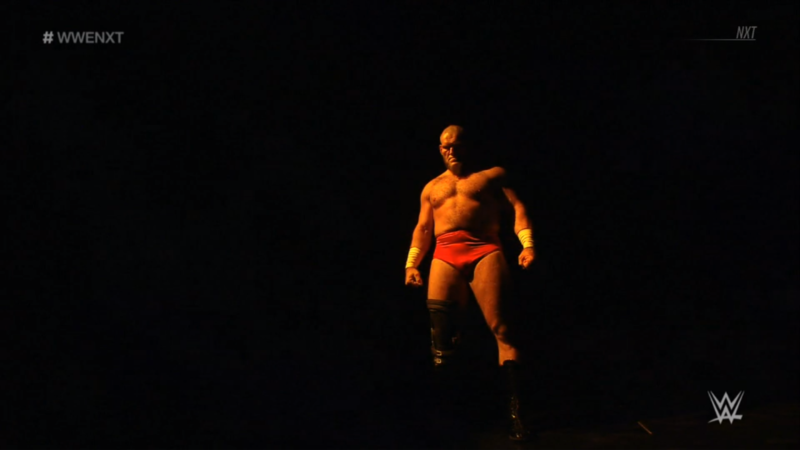 NXT takes a look at Lars Sullivan’s path of destruction. The Leviathan is practically straight out of a horror film. He has decimated everyone put before him and created an impressive undefeated singles streak. 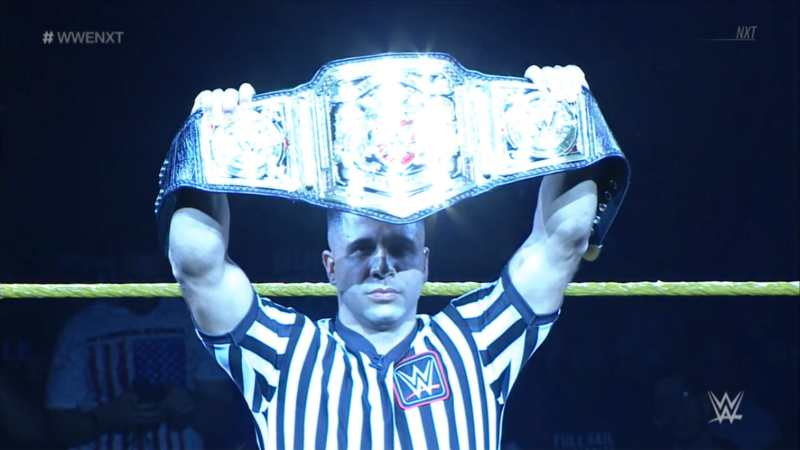 Now Sullivan finds himself on the verge of competing for the NXT Championship. Will he crush the hopes and dreams of Roderick Strong in a single Freak Accident? 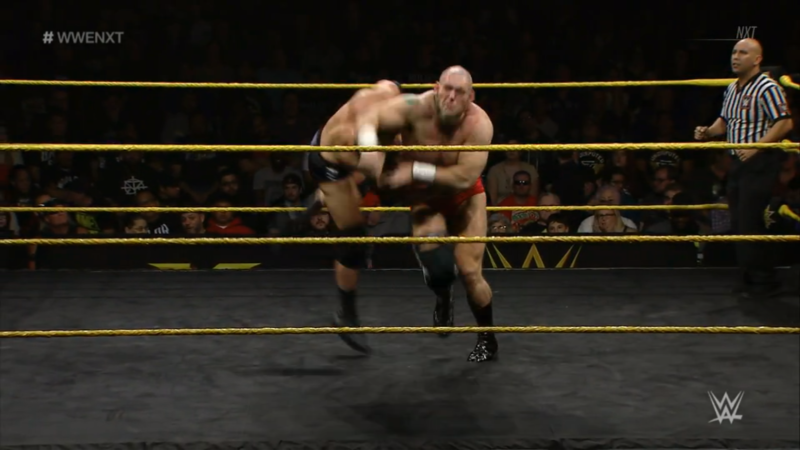 NXT Championship #1 Contender Series: Roderick Strong VS Lars Sullivan! The Strongest Worker wants another chance, The Leviathan wants his first. Who will conquer the other to join Aleister Black, Johnny Gargano and Killian Dain in a fight for the right to challenge El Idolo? The bell rings, Strong goes right at Sullivan, Sullivan shoves him away. Strong tries again, Sullivan scoops but Strong slips out and lights him up with a chop. Sullivan puts Strong in a corner, Strong dodges and unloads strikes again. Strong tries to lift Sullivan, Sullivan just elbows Strong down. Strong revives to give more forearms, he runs only to run into Sullivan’s clobbering clothesline! Sullivan flips Strong upside-down and inside-out, then walks around as he catches his breath. Sullivan glares down at Strong before ramming a knee into his ribs. Strong gets to a corner, Sullivan grins as he brings Strong up and shoves him to ropes for a stiff forearm to the back. Sullivan brings Strong up for another shove, and another rough forearm. Sullivan whips Strong corner to corner, then smothers him with a clothesline. He keeps going as he picks Strong up and just throws him across the ring! Strong crash lands and writhes, Sullivan covers, TWO. Sullivan grins, he is enjoying this. Fans rally for Roddy, Roddy kicks Sullivan in the legs and face. Strong gets up, runs, but is caught into a bearhug. Sullivan squeezes and thrashes Strong with those monstrous arms. Strong becomes a rag doll but Sullivan won’t let up. Fans rally again, Strong uses ear claps and forearms to break free, jawbreaker to stagger Sullivan. Sullivan throws Strong to a corner, Strong comes out with a BIG dropkick! Strong gets to ropes while Sullivan staggers, Sullivan comes back to take Strong’s boot, enziguri and chops. Sullivan throws Strong to ropes, Strong holds on, Sullivan runs in but Strong dodges! Sullivan gets hung up on ropes, Strong makes it worse by tying the leg up between those ropes. Strong runs back and forth to give Sullivan drive-by forearm smashes! Strong then runs to the opposite side, and hits Sullivan with a flying forearm smash that sends Sullivan out of the ring! Sullivan stays standing and gets back on the apron, Strong runs again but Sullivan catches him with both hands. Sullivan clobbers Strong down with one big right, then climbs up!? Strong hurries and climbs up to join him, Strong hits the SUPERPLEX! Cover, ONE, and Strong is sent flying from the kick-out. Sullivan and Strong stare down as they stand up, Strong ducks to give a jumping knee strike! Then another knee strike! Strong brings the knee pad down, Sullivan clobbers him again. Sullivan stalks Strong, drags him up, Olympic Slam outta nowhere! Strong covers, TWO! Sullivan gets to a corner while fans rally. Strong stands up, runs in, shining wizard! Sullivan pushes Strong away, flapjack powerslam! Then, FREAK ACCIDENT! Sullivan wins and advances to the Fatal 4 Way! The Mile High Monster mangles Strong’s body as well as his golden aspirations, can he do the same to the Beast of Belfast, the Embodiment of the End and Johnny Wrestling? The Street Profits bring more #StreetTalk to NXT! Backstage interview with Tyler Bate. The young man from Dudley is set to have his rematch with Pete Dunne. What is going through his mind? “This thing with Pete and I goes way back”, even before the WWE UK Tournament in January. Bate became the inaugural champion when he defeated Dunne in that tournament, but then Dunne became the second champion ever when they both “tore the house down” in TakeOver: Chicago. 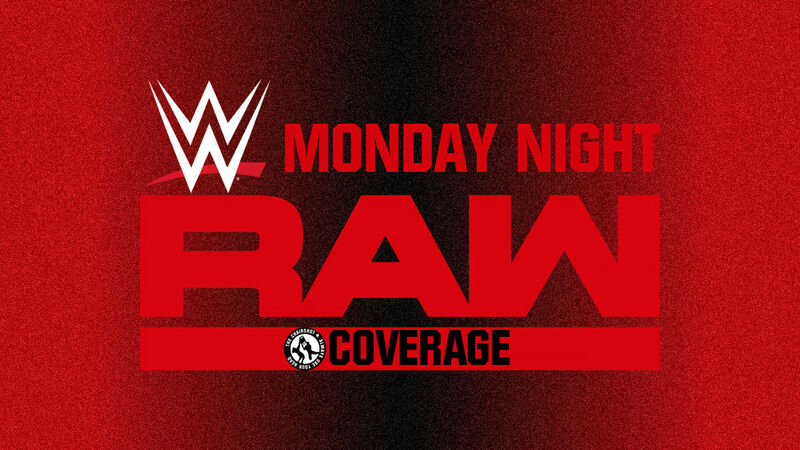 Tonight is the tiebreaker, and Bate vows to become the first ever two-time UK Champion. WWE UK Championship: Pete Dunne VS Tyler Bate! The British Bruiserweight and the Mustache Mountain disciple have already become the two top men in WWE’s UK Division, who will win the third of their amazing match-ups in 2017? The bell rings, Bate and Dunne circle and fans are already fired up. They tie up, Dunne powers Bate down with an armbar and tortures the fingers. Dunne slams the hand into the mat then brings it back into a wristlock. Bate slips out and spins around, kip-up to reverse, arm-wrench and wristlock of his own. Bate gives Dunne back some of that joint torture, Dunne stands up but Bate brings him back down. Dunne uses headscissors and hammers Bate’s stomach before pushing up to really squeeze and wrench Bate’s neck. Dunne drives Bate back down but Bate rolls around to then pop up and out. Bate gives a wave, fans applaud his joviality. Dunne gets to ropes so that he can compose himself. The two tie up again with a test of strength, Dunne traps Bate’s hand under his foot. Dunne slaps and kicks Bate in the head and shoulders, then puts Bate in a half-surfobard. Bate stands up, fans rally, Bate pries himself loose to then dropkick Dunne back. Dunne gets to a corner for safety, Bate allows him time to come out. They tie up again, Dunne arm-drags Bate down and into another wristlock situation. Dunne makes it a cover, TWO, so Dunne tweaks Bate’s nose before trying again. TWO as Bate bridges, Dunne tortures those fingers again. Hammerlock added to the cover, TWO as Bate bridge again. TWO, another bridge, Dunne drops his full weight on Bate! Bate stays up! Dunne sweeps a leg, but Bate bridges. Dunne flattens Bate, TWO and back to the bridge, so Dunne kicks Bate in the ribs! Bate chases Dunne to ropes, but the referee keeps him back. Dunne grins as he has Bate’s temper going. Dunne gets a takedown and fans duel while Dunne wrenches the ankle and knee. Bate keeps his shoulders up then pops up to spin Dunne off, Dunne cartwheels to stay standing, so Bate handsprings to stand up with him. Dunne runs, up goes Bop, for BANG! Dunne down, Bate covers, TWO! Bate is surprised, but he doesn’t lose focus. He goes after Dunne’s leg, Dunne gets the ropebreak, to hit a sucker punch forearm! Bate is dazed as he checks his jaw, Dunne stands him up for a stiff chop! Dunne then runs into the corner, Bate stops him to give him a knee lift. Bate hops up, then hits a flying European Uppercut. Dunne gets out of the ring, Bate pursues, only to get rocked with another forearm! Dunne brings Bate to the steel steps while the ref counts, but Bate avoids getting his hand crushed under Dunne’s boot. Bate grabs Dunne’s hand now, brings it down, and successfully stomps Dunne’s fingers! The ref keeps counting while Bate reaches for Dunne again, Dunne chops Bate in the stomach to then suplex Bate to the ground! Both men crash and burn, fans chant for “NXT! NXT!” The count continues, Dunne beats it at 6. Bate stirs, drags himself up and beats it at 8. Dunne goes right for him, slapping him across the face! Dunne stomps and kicks Bate while he’s down, too, before putting on a wrenching rear chinlock. The fans rally as Bate endures the squeeze, he drags himself to a ropebreak. Dunne kicks that arm, Bate throws haymakers and chops with the other. Dunne fish-hooks Bate’s mouth before rocking him with another forearm. The Bruiserweight grinds his knee into Bate’s head while going right back to those fingers. He isolates one of Bate’s fingers before stomping the entire hand! The referee checks on Bate, Bate won’t let this stop him. Bate takes that busted finger and pops it back into place. Dunne goes right back at that arm, shoulder breaker and arm-wringer takedown, hammerlock traps one arm as he goes back to torturing that dislocated finger. 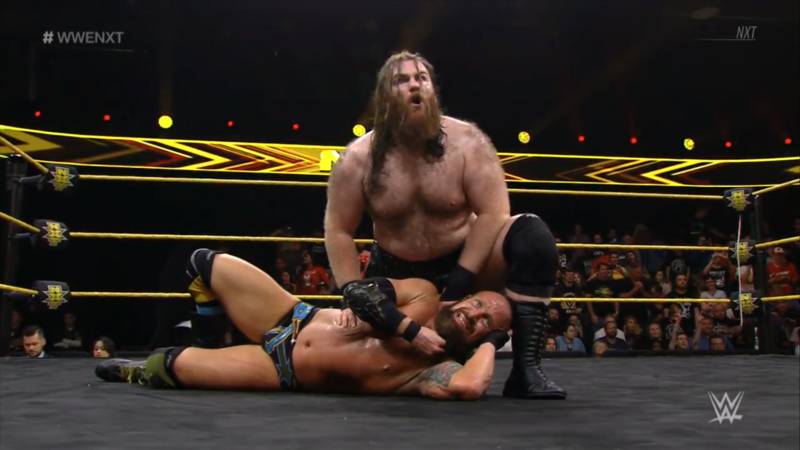 Dunne puts the arm into a hammerlock, and stomps it! The referee checks on Bate again, Dunne just shrugs before booting Bate right in the face. Fans have a mixed reaction, Bate still fights with chops and headbutts. Dunne goes after Bate’s nose then gives a headlock punch. He toys with Bate now, holding that other arm while kicking away at Bate. Bate doesn’t back down, he dares Dunne to keep going. Dunne does, Bate fires up. Bate grabs Dunne and throws him with an Exploder! Fans cheer “UK! UK!” while Bate tries to get feeling into his bad arm. Both men are in opposite corners, Bate runs in for a running EuroUpper. Bate keeps going, another corner to corner EuroUpper! He drags Dunne out, Dunne counters with an X-Plex but Bate lands on his feet! Shooting Star Press outta nowhere! Bate deadlifts Dunne into a back suplex pin, TWO! Fans duel as both men stir, Bate grabs Dunne’s hair but Dunne grabs Bate’s nose. Dunne gives the forearm, Bate hits the rolling kick! Double underhook lift, but Dunne counters with a triangle hold! Dunne also hammers Bate with jabs. Bate endures as he tries to make this a cover, but Dunne keeps on shoulder up. Fans rally, Bate deadlifts Dunne for a powerbomb! But the triangle hold stays on! Dunne keeps squeezing, Bate keeps moving, another deadlift! Not for a powerbomb, but for a rope guillotine! Dunne gasps for air while Bate catches his own breath. Both men slowly stir, Bate is the first on his feet. Dunne goes after that bad hand again, Bate brings him into the fireman’s carry for the airplane spin! Bate goes around and around, slows down, then goes back the other way! He slows down again, fades, but then powers up for another rotation back the first way! Bate hits high speeds and finally puts Dunne down, both collapse from dizziness. Cover, TWO! Dunne crawls to ropes, he might be sick from those spins. Bate gets up while fans rally again. He goes over to Dunne, climbs the ropes, and somehow deadlifts Dunne into a SUPER EXPLODER! Bate crawls to the cover, TWO! Fans declare “This is awesome!” Dunne and Bate tie up on the ground, Dunne gets up to stomp the hell out of Bate. Bate stands up to roundhouse and stomp Dunne in return! Bate brings Dunne up, kicks, misses, BITTER END! TWO!? Dunne can’t believe Bate survived! The fans chant for “UK! Woop woop!” again while Dunne drags Bate up again. He throws Bate but Bate reverses, Dunne goes up and over, enziguri! He throws Bate again, rebound lariat! Dunne springs up and lariats Bate! Both men down, the fans applaud their heart. Dunne and Bate stir, fighting all the way from the floor to their knees to their feet! Bate and Dunne both throw wild hands, slow down, Dunne gives Bate a jab, Bate gives Dunne a right hand! That bad hand slows Bate down, he can’t cover Dunne. 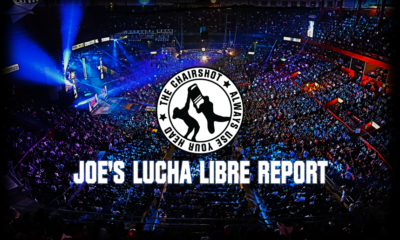 Dunne gets to the apron, Bate pursues while fans rally again. 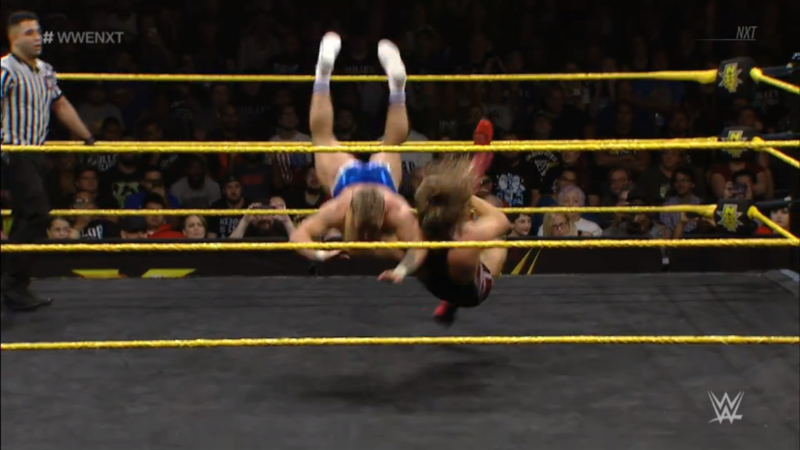 Both men stand up on the apron, Dunne puts up Bop, but Bate still gives BANG! Dunne barely holds on, he rocks Bate with that forearm, Bate comes back with the rolling kick! Bate ends up on the ground, Dunne is still on the apron. Bate gets up and in, then stalks Dunne as he crawls to ropes. He then changes his mind, he climbs up top and takes aim. Bate jumps, into Dunne’s forearm! 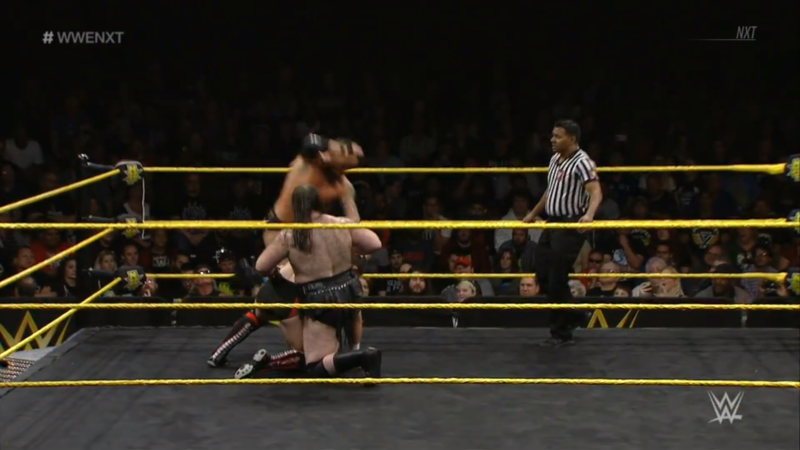 Dunne’s not done, X-Plex sit-out powerbomb! TWO!? Dunne still can’t believe it. Bate rolls to the apron and the floor, Dunne comes out to fetch him. Fans duel while Dunne throws Bate, Bate hits another rebound lariat! The referee counts, Bate gets himself up and in. The champion lingers, remembering Champion’s Advantage. Bate realizes this, too, so he runs and FLIES! He takes Dunne down, puts him back in the ring, double underhook into the Tyler Driver ’97! TWO?! Bate is shocked! “UK! Woop woop!” Bate rolls out and climbs up, he has one idea left: Corkscrew senton! Bate grazes Dunne, covers, TWO! Dunne rolls out again, Bate drags himself over. Both men stand up on opposite sides of the post, fans rally while they climb up together. Bate positions Dunne backwards, SUPER GERMAN SUPLEX! But Dunne lands on his feet!? And he hits another Bitter End!! Dunne covers, and wins! The Bruiserweight is still the WWE UK Champion! 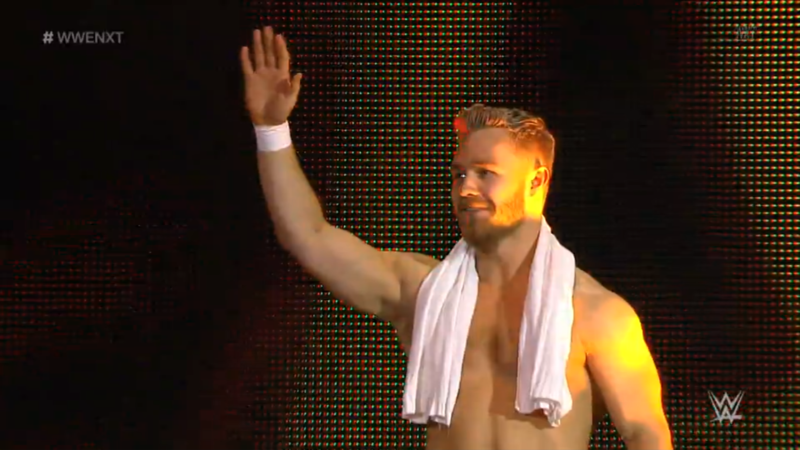 He wins the tiebreaker as well as does away with Tyler Bate. Who will step up to the UK Champion next? And will they, too, face a Bitter End? This could very well be the greatest episode of NXT ever. All three matches mattered, all three matches were high quality, and all three matches finished strong (no pun intended). Also, this episode was the longest episode ever at 72 minutes and change. This episode even accomplishes hyping up next week with announcements for an unexpected NXT Women’s Championship match. I don’t see Sonya winning now that she’s also on Raw, but I do expect her giving Ember Moon a really tough match. This will frame Ember as an underdog champion, to continue showing her as a foil to the dominant champion that was Asuka. The tag team title match opening was a great surprise, as was the surprise that reDRagon/The Undisputed Era won! Adam Cole interfering should’ve been expected as The Undisputed Era is a Heel faction, but even that was great since it allowed Nikki Cross to get involved and Eric Young still clobbers Cole with that suicide dive. 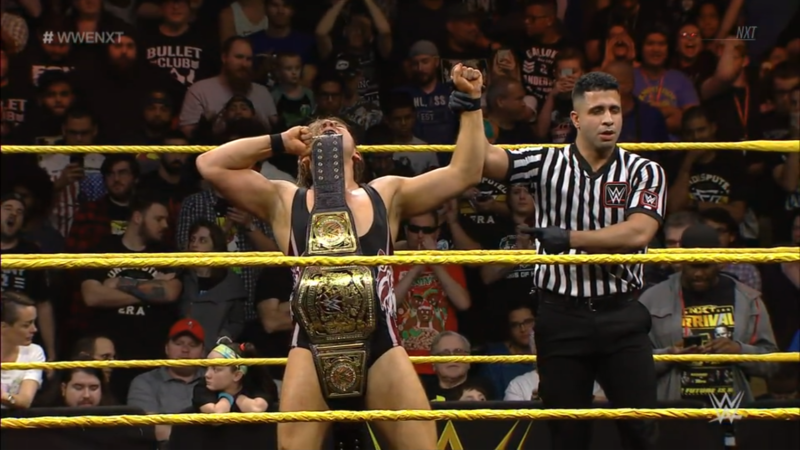 Cole won’t fight for the NXT Championship for some time, but grabbing the tag team titles is the first step in The Undisputed Era living up to their name. Strong-Sullivan was incredible. Strong gave Sullivan one of, if not the toughest match of Sullivan’s career, which gives big point to both men. Strong gains points for pushing Sullivan this far, and Sullivan gains points for still coming out the winner. The Fatal 4 Way now has two big monsters, a stiff striker and probably the biggest underdog in some time. Andrade “Cien” Almas is a Heel, so I expect Face Gargano or Aleister to win. Then, match of the night, week and maybe even month was perfectly placed as the main event. Bate-Dunne burn the house down again in their best match as part of the WWE yet, and establish themselves as the WWE UK Division’s summit. This match alone is evidence enough as to why WWE needs to sort out a WWE UK show of some kind. Kofi Kingston w/ The New Day VS Shinsuke Nakamura w/ Rusev & Lana; wins.